This is a device that is made to connect to your vehicle and diagnose any issues very quickly. That way you can not only save money, but also the time it would take to check out all the parts yourself. Locating problems becomes much easier, and the device comes at a very affordable cost. This scanner is designed to be held in one hand and for the buttons to be used by the fingers on the very same hand. There are nine buttons in total which can confuse some people who are used to fewer buttons, but it does also open up the functionality of the device. The screen is not as big as some screens, so there will not be as much information, but this helps to cut down on unnecessary information and give you the data which you need. This device uses a cable to connect directly to your vehicle. The connection is also what powers the device. This scanner works with any car, truck, minivan, and cross-breed manufactured after 1996. The range of compatibility you get with this device is more complete than that of many other scanners on the market. In the case of scanners, more is definitely more. When you purchase this scanner, you can be assured that it will be compatible with your vehicle. 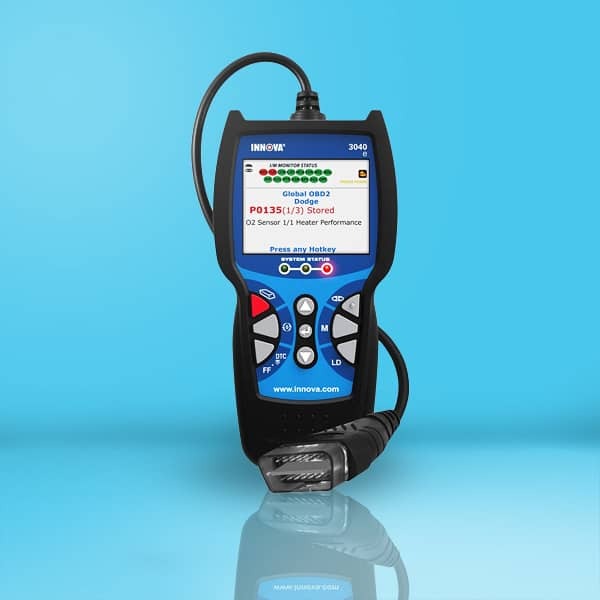 This device gives you the basic data you need to diagnose your vehicle along with some professional data too. This means that you have a lot of data at your disposal, enough to diagnose the common problems which come with most vehicles, while not bogging you down with the data which you will find hard to interpret. More complicated data may also point you towards a problem which you are not able to fix or misdiagnose. This is a quick device which will give you data 20 seconds after plugging it into your car system. This enables you to get the data quickly and make a diagnosis leading to a quicker fix. You can get a quick diagnosis for a “check engine” light with this device; this is one of the most common problems which you will diagnose with a scanner, and this one is excellent for that diagnosis. You get 20 different readings with this device to better help you diagnose and repair your vehicle. You get readouts on the oxygen, temperature, RPM, alternator, battery, fuel trim, engine coolant, and much more. This level of detail helps to give you a better overall knowledge of what is wrong with your car and how this might be working in conjunction to create problems with your vehicle. You can also store these readings for checking out later. You can also store the data for up to three vehicles which is great if you have more than one vehicle in your home. ​This device is small and lightweight. The portability is a big benefit in the world of car scanners. Not only are you able to transport the scanner easily and in your pocket, but you can have it with you at all times. This scanner is not compatible with some common vehicles, including Volkswagen, Innova, and many used vehicles in Canada and the US. The mid-range price tag is not overly expensive, but if you buy it for an incompatible vehicle, then you are only going to be wasting your money. The cable to connect the scanner to your engine system is shorter than some other models. This limits your range of motion once you have it plugged in, and you need to stay close to the connection when you are using the scanner. When you compare this scanner to others on the market, you will find that the customer service is not up to the same level as other companies. This can make it hard to get a correct diagnosis for your vehicle when your scanner is not working as it should. For the money you will pay, this is a great scanner for diagnosing common problems with your vehicles. This is not the type of scanner which you will use if you are servicing a fleet of cars, but if you are an individual with one or two cars, this scanner will help you get to the bottom of common vehicle problems and help you to fix those problems yourself. 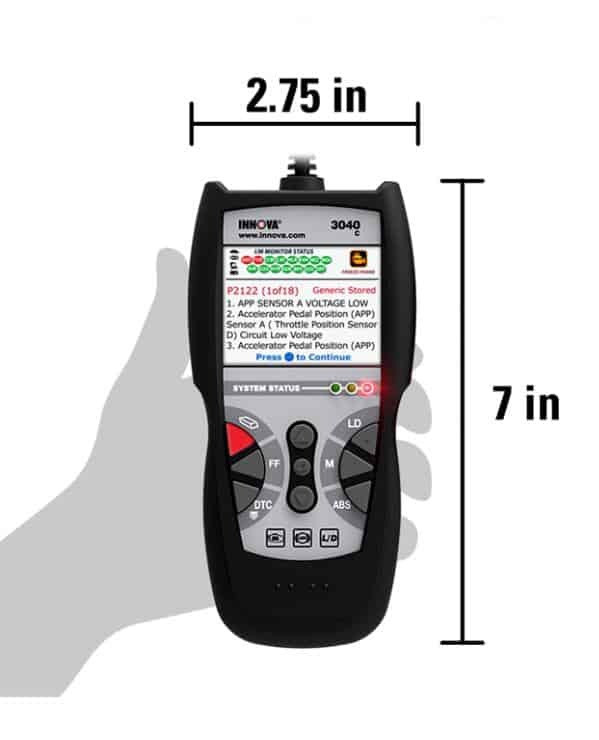 Be sure to do some research before you buy this scanner as there are a few vehicles which are not compatible with this device and you should not waste your money.